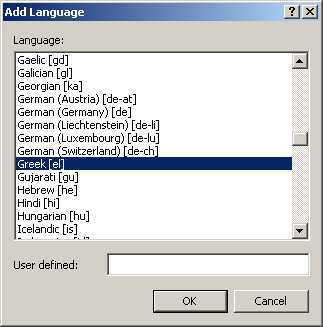 You may experience problems viewing some pages which include translations into Greek language. The Latin characters will display properly but the Greek text will be scrambled showing boxes, dashes and curls. 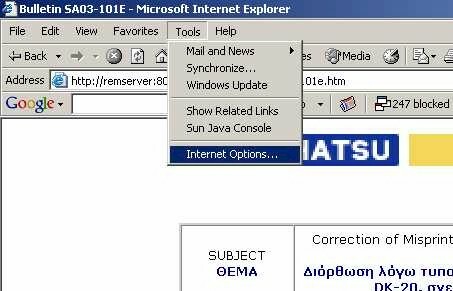 This problem can be easily solved by setting up your browser to accept Greek based pages if this has not been done already. It is best to ask your system administrator to set it up for you. Here are some basic instructions to set it up yourself. Εάν διαβάζετε αυτό το κείμενο στα Ελληνικά, τότε το σύστημα σας είναι ρυθμισμένο σωστά και δεν χρειάζεται καμία άλλη ρύθμιση. 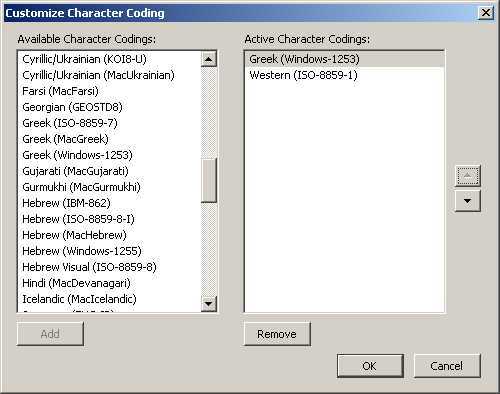 In the Available Character Coding list scroll down to Greek (Windows-1253), select it and press Add. 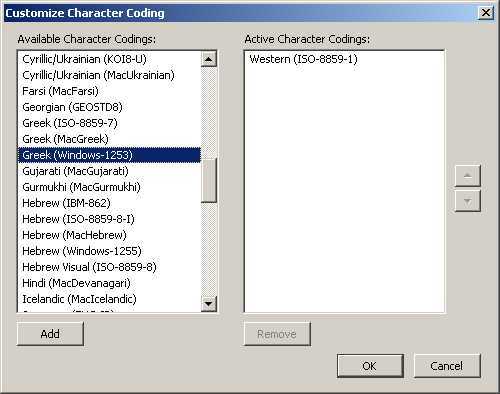 Once it has been added in the Active Character Codings list ensure it is listed in the top line. If not, use the UP arrow to move it up. Click on the OK button and you are set. 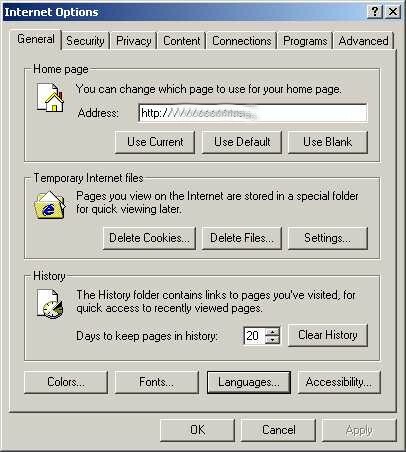 To make it active you may need to reopen your browser. Select menu View and scroll down to Encoding. 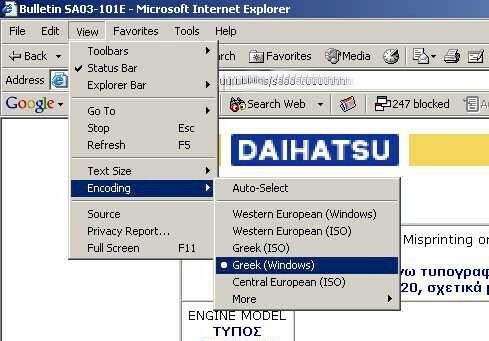 If the option Greek (Windows) is visible then select it. Greek should not be in the preference list, so press the Add button to insert it. 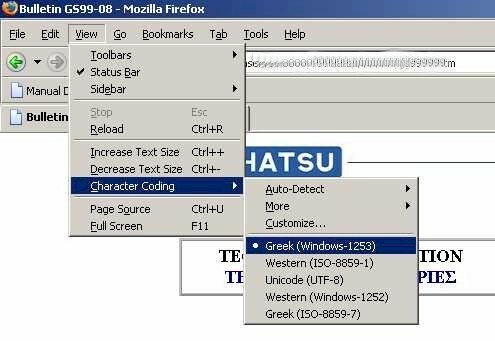 Scroll down the language list to Greek [el] and select it. Press OK.
Greek [el] should be now visible in the list. If not in the top row then use the Move Up button to move it up.